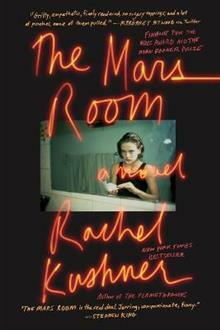 An instant New York Times bestseller from two-time National Book Award finalist Rachel Kushner, The Mars Room earned tweets from Margaret Atwood-- gritty, empathic, finely rendered, no sugar toppings, and a lot of punches, none of them pulled --and from Stephen King-- The Mars Ro... read full description below. 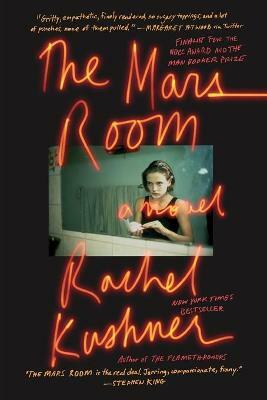 An instant New York Times bestseller from two-time National Book Award finalist Rachel Kushner, The Mars Room earned tweets from Margaret Atwood-- gritty, empathic, finely rendered, no sugar toppings, and a lot of punches, none of them pulled --and from Stephen King-- The Mars Room is the real deal, jarring, horrible, compassionate, funny. It's 2003 and Romy Hall, named after a German actress, is at the start of two consecutive life sentences at Stanville Women's Correctional Facility, deep in California's Central Valley. Outside is the world from which she has been severed: her young son, Jackson, and the San Francisco of her youth. Inside is a new reality: thousands of women hustling for the bare essentials needed to survive; the bluffing and pageantry and casual acts of violence by guards and prisoners alike; and the deadpan absurdities of institutional living, portrayed with great humor and precision. Stunning and unsentimental, The Mars Room is wholly authentic...profound...luminous (The Wall Street Journal), one of those books that enrage you even as they break your heart (The New York Times Book Review, cover review)--a spectacularly compelling, heart-stopping novel about a life gone off the rails in contemporary America. It is audacious and tragic, propulsive and yet beautifully refined and affirms Rachel Kushner as one of our best novelists (Entertainment Weekly).